I had the pleasure of being invited to the 2013 BloggerPalooza at Maize Quest Fun Park by my friend Sarah from How I Pinch a Penny. If you are a local to Maryland or Pennsylvania I suggest you take advantage of a perfect fall day and spend it at Maize Quest! 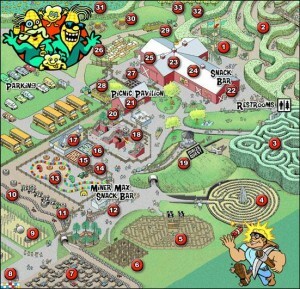 The Maze is located at 2885 New Park Road New Park PA 17352. If you are tired of crowded overpriced corn mazes in the city then pack a lunch and make a day of it out in the country, it is about 1 hour north of Baltimore and 45 minutes south of Lancaster. 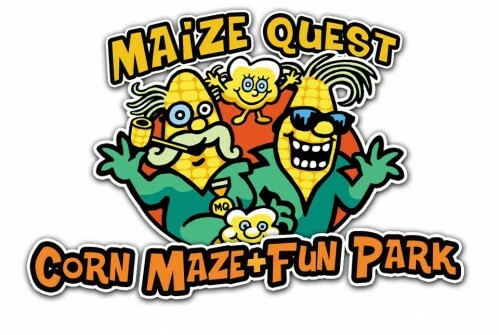 Maize Quest offers a full day of fun with mazes, kids play areas, hay rides and pumpkin picking (no pumpkin will ever cost more than $10!). With over 30 fun-filled attractions there is something for everyone from the Fun Zone for toddlers to the Pedal Cart races for the older kids. And we can’t forget the main attraction The Corn Maze, this is 9 acres to “get lost” in. I’m not going to lie with 4 kids we never made it out of the first colored section the maze. We literally wen’t in a circle! This Ancient Rome themed maze could literally prove to be hours of fun. 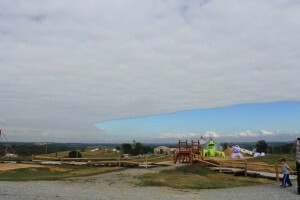 During the day was fantastic, but there is also a flashlight maze offered on weekends during the fall. Maize Quest Fun Park also has on-site farm stand called Maple Lawn Farms where you can purchase fresh picked apples, hardy mums and wonderful fresh apple cider. Oh my I cannot forget to mention the fantastic warm apple cider donuts! These are heavenly and you will be taking a dozen home after your visit I can assure you. In the Fall Maize Quest is open Friday and Saturday from 10 a.m-10 p.m and Sundays 1 p.m- 7 p.m, with holiday hours from 10 a.m.-4 p.m. Remember when I mentioned those overpriced corn mazes? Well you will not find that here, the cost for adults (13 and up) is $10 and children (2-12) is $8 for the ENTIRE FUN PARK! You of course pay for the pumpkins you pick as they are not included but everything you see at the Fun Park is. And just for my readers I have a DISCOUNT! They also book large groups, call 1-866-WE-LOSE-U for more information on booking your group today! The Maze Master, Hugh McPherson says “We believe that getting outside and working together to solve problems is a great way to engage young mind and build strong families”, and I could not agree more. Set aside a day this fall to step away from the busy world, take a scenic drive out to the country and “get lost” for a day at Maize Quest Fun Park! 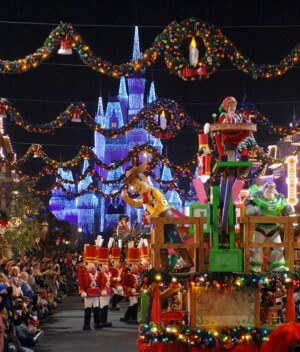 Florida Residents can take advantage of an AMAZING Holiday Room Offer from Walt Disney World. Travel from December 15-24, 2013 (yes you read correctly) and save up to 35% on room only reservations. This is a HOT SALE and must be booked by September 24. Take advantage of this offer and spend a fantastic time in Walt Disney World seeing all that is Magical about the Holiday Season. Contact me TODAY for a free quote jenniferg@destinationsinflorida.com or 443.424.0181. The rooms will go fast so don’t delay. 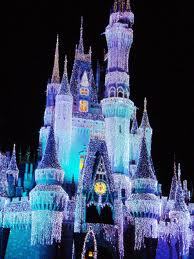 Have you ever dreamed of seeing Cinderella’s Castle lit up at night or snow on Main Street USA? Without a doubt the most Magical time of year to visit Walt Disney World is during the Holiday Season. Did you know that all decorations are up by December 1! There is no need to visit the week of Christmas or New Years, you can visit all month long and still be a part of all the beautiful decorations and characters dressed in their Winter best. Don’t forget about Mickey’s Very Merry Christmas Party! 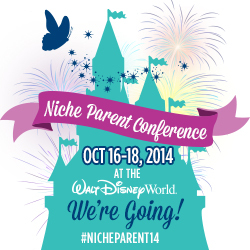 This is a magical gathering with family, friends and familiar Disney faces! Held select nights at Magic Kingdom park—from 7:00 PM to 12:00 AM, through December 20—Mickey’s Very Merry Christmas Party offers cheer and enchantment for all ages and interests.Delight in the lights shimmering like ice on Cinderella Castle! And hum along with the holiday music that fills the air. It’s a time for wishes to come true! Castle Dream Lights on Cinderella Castle: As a gift to Cinderella, the Fairy Godmother waves her wand, and with a bibbidi-bobbidi-boo enchants the castle with sparkling white lights. Magnificent icicles seem to form instantly over the parapets and towers of the royal palace, as the lights wink and shimmer to a medley of heartwarming Disney tunes. To make your Holiday Dreams come true Disney is offering a ROOM ONLY Discount for certain parts of December! We rarely ever see discounts in December from Disney so don’t delay if you wan’t to book your vacation. You must book by Nov 1 to take advantage of this great offer. 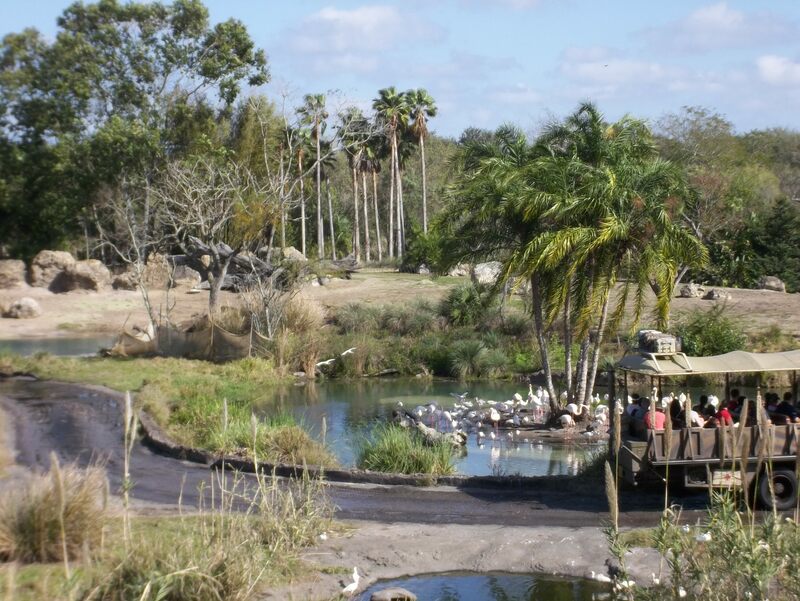 Did you know that there is a private guided tour of the Safari at Diseny’s Animal Kingdom? 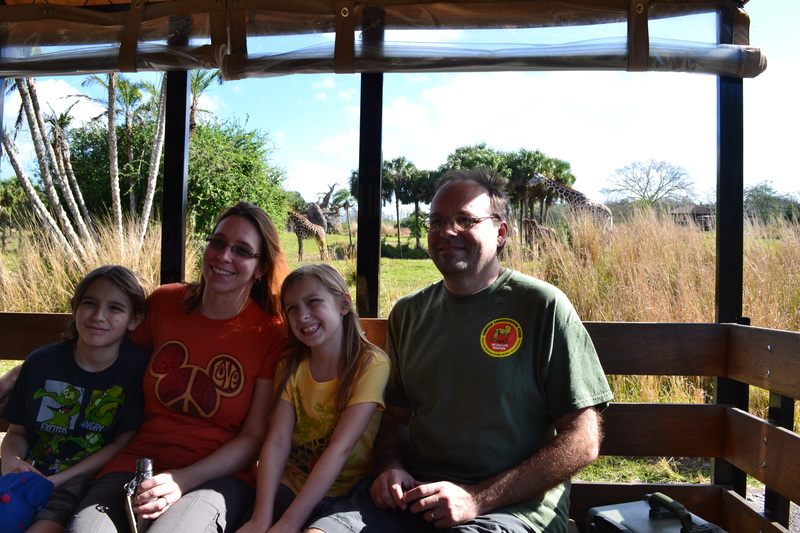 My friend and blogger pal Brooke from Jambo Everyone was kind enough to share her families experience on the Wild Africa Trek at Animal Kingdom. It sure sounds like a roaring good time to me! Disney’s Wild Africa Trek in the Animal Kingdom is designed for anyone looking to experience an up close and personal tour of the Kilimanjaro Safari. Pricing begins at $189 per guest, plus tax and park admission. Discounts on all treks are offered during certain times of the year. More commonly, discounts are offered on afternoon treks departing after 11:45 a.m.only. Ages 8 and up are able to attend and the weight requirements are 45 lbs to 310 lbs. Other requirements needed are closed toe shoes that lace, no flip flops or sandals are allowed and reservations are a must. From a personal standpoint, this is a must do at least once in a lifetime experience. My family loved this trek! Beware: there are spoilers below. Before we began, we had to sign in to the left of the Dawa Bar next to the Tusker House (however, due to recent construction, this has changed and guests now need to sign in over by the Kilimanjaro Safari Fast Pass area). We were greeted by our safari guides, who are also skilled Photopass photographers, Jason and Josh, and after waiting a few moments for the rest of the guests to sign in, we were ready for the next step of the tour. Next, we were weighed and fitted for safari vests, a harness, and radio headsets which enabled us to hear our guides along the way. Our backpacks and purses were stored in a personal locker that we could access after the trek. Our cameras were fastened to our vests to ensure that they wouldn’t be dropped into any exhibits and cause harm to the animals. We were then given name tags and souvenir water bottles to fill, then instructed to walk across a test bridge to get the feel of what the real rope bridges would be like. Then, we were on our way. Our guides gave us a quick tour of Harambe and led us to the Pangani forest trail. We veered off through a gate in Pangani that wound us through some rough and rocky terrain eventually leading us to the hippo pool. We were about 10 – 15 feet above the hippo pool so, for safety purposes, our Trek guides, Jason and Josh, helped attach our harnesses to a device that would give us the ability to lean out over the hippos and experience a spectacular view of these creatures. At this point, we were also met with another Trek guide who gave an informative talk about hippos and we were able to watch them eat. 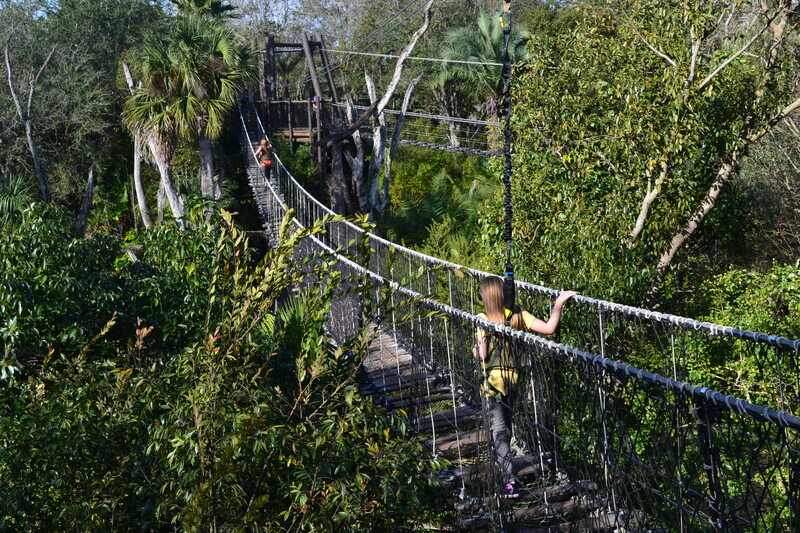 We then walked across our first suspension rope bridge over the hippo pool. This bridge is about 30 feet up and designed to look as if it is falling apart. The netting is missing in spots as well as some of the planks. However, you are strapped in the entire way to your “monkey tail” which is securely fastened to the harness. I am terrified of heights. I knew about these bridges going into this Trek and as an animal lover and avid fan of Disney, I decided that it was time to conquer my fear. (For guests who are not ready to tackle the fear of heights, there is a walking portion through Pangani that bypasses these bridges.) I am also one of those “helicopter moms” and thought my husband would be able to accompany our 11 year old son, while I would accompany our 8 year old daughter across these bridges. Not so. One at a time cross the bridge. Our Trek guide, Josh went first so he could capture each guest’s photo. Then my husband, followed by my son. It was my turn next. It was a great, yet scary feeling. The harness completely secures you to the cable overhead and there are railings made of rope that I clung to for the length of the bridge. The view, however, is breathtaking. To see the hippos swim beneath was truly amazing and I didn’t think it could get any better. After posing for my photo, I looked behind me at my 8 year old daughter crossing the bridge and had a brief moment of panic when I saw her crossing without holding the railing. Josh assured me that she would be fine and said she was strapped in, and as she got closer, I saw the smile on her face. A perfect Disney moment! She was beaming and exclaiming how cool this was, setting all my fears aside. At the end of the first bridge, there is a platform which attaches to the second suspension bridge over the crocodiles This bridge is longer and feels slightly higher up than the first but still offers great photo opportunities of the crocs. After reaching the end of this bridge we descended upon an area where we were greeted by another guide. She taught us about the crocodiles and then we were off through another wooded area where we met up with our safari vehicle. During this portion of the Trek we were able to take off our vests and harnesses and enjoy a very personal safari. Jason and Josh made sure each guest got ample pictures of their favorite animals along the ride. They also taught us some fascinating information. For example, there are no male ostriches on the safari. However, when Sally, an adult female ostrich molted, her new feathers came in black, the colors of a male ostrich. They said she did this as a defense mechanism to warn any predators that may be in the area. The safari ride eventually took us to the Boma in the middle of the savanna. Which is an outdoor covered seating area with tables adorned with plaid tablecloths. This is where we were given our canister-style lunchbox. There was jungle juice (passionfruit, orange, guava juice) set up on each table for everyone to enjoy. Our metal canisters had two parts to them. Each part filled with small dishes of goodies. The top part had berry yogurt with granola, melon with ginger dressing, brie cheese cubes and a dried apricot. The top part also had an edible orchid and hand carved wooden spoon. The bottom portion of the canister housed 3 mini pita breads, a smoked salmon roll with dill cream cheese, dried beef and prosciutto, and a fig almond cake. At first glance, the portions looked small, however, this meal really filled us up and was quite good. Depending on the time of day of the Trek, the menu changes. We were the first or second trek of the morning, so we were offered the morning menu. We had the opportunity after our meal to walk around the platform of the Boma and view the animals on the savanna. We were able to see the lions from the overlook as well giraffes, elephants, flamingos and white rhinos. We were also able to wash up in the restrooms at the Boma, this is the only stop for a bathroom and are highly recommended by the Trek guides to use during lunchtime. With about a 1/2 hour left to go of our tour, we were boarded back onto our safari vehicle to view the rest of the safari, where we were able to get great views of the cheetah. Our safari truck actually pulled off to the side of the road to get a better view of them for us. With the safari over, we walked back through Harambe to retrieve our belongings and choose where we wanted a portion of our Trek cost to be donated. We also posed for a group photo. About a week after our vacation was over, we received a CD of pictures that were taken on our Trek by our guides, as well as 50+ other stock photos compiled over the course of time from Disney Photopass photographers on other Wild Africa Treks. While the price for the trek is high, as animal lovers we felt it was something we couldn’t miss. What is My Magic +? Most people are scratching their heads over all this My Magic + information. Believe me I am too! I can’t wait to use it in October so that I can really familiarize myself with it and help my guests. There will be a full report on this program when I return. 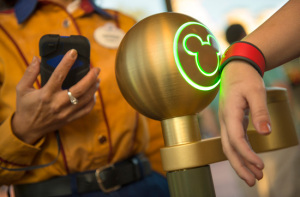 For now this is what we know about the new system Disney is rollling out for resort guests (you heard me right) only if you stay on-site do you get a Magic Band and Fast Pass + access. My Disney Experience is the first step in the new program. You must register your hotel and tickets there to access the new system. This allows everything to be wrapped up in 1 place including room reservations, tickets, dining reservations and more. You can access this during your trip for park hours, character locations, parade times. It’s an APP for in the parks and a website for planning. The next step in this new program is your Magic Band. This is your room key, park tickets, fastpasses, credit cards/charging privelages all rolled into one awesome band. You choose the bands before you leave home (must be done 30 days prior to check-in or you wont be able to choose them). You pick a color for each family member, and assign a pin code for those with charging privelages. The Bands are still testing in the parks and resorts now, but the system will be rolled out soon enough to all resort guests. I just ordered my band for October and cant wait to see how this new fangled contraption works. One of my favorite parts of this new program is FastPass +! It allows you to pick 3 fast pass attractions for each park before you leave home! Now you don’t have a choice of the time you just have to choose the options you want. BUT you can change them while you are at the parks. This also allows you to pick preferred viewing areas for Illuminations (good, I hated that tree in my way). This program is BRAND new and there are still a million questions. But I will do my best to update and help you figure it all out before your trip. Jennifer Greene is a Disney Vacation Planner with Destinations in Florida Travel. Contact her today to book your next MAGICAL Vacation to Walt Disney World. You can reach her for a FREE Quote at jenniferg@destinationsinflorida.com or 443-424-0181. Princess Fairytale Hall will be the new home for Disney princesses to meet their loyal subjects in the Magic Kingdom. The castle-like entrance will feature walls of stone and stained glass windows opening up into a large gallery – an airy space with a high ceiling – where portraits of the Disney princesses adorn the walls. When it’s time for their royal audience, guests will proceed to one of four elegantly finished chambers to meet their favorite Disney princess. Each chamber accommodates up to two Disney princesses. 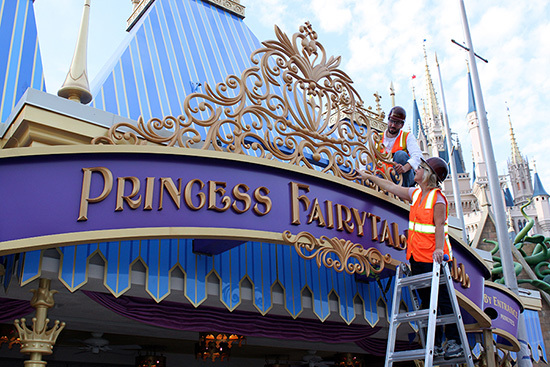 Princess Fairytale Hall is Set to Open on September 18th, 2013.